A giant iceberg photographed under the midnight sun on the Ilulissat Icefjord near the town of Ilulissat in Western Greenland. B+W filters are the best filters I have ever used. Made in German by Schneider I'm happy in the knowledge that, unlike cheaper plastic ringed filters, B+W filters won't lessen the quality of my high priced Sony lenses. Made to the highest of standards, from arguably the world's best optical glass, it's worth considering filters that incorporate the B+W F-Pro filter mount. The result, a thinner design that helps prevent vignetting, even on wide angle lenses, including most 24 mm focal lengths on full frame camera bodies. 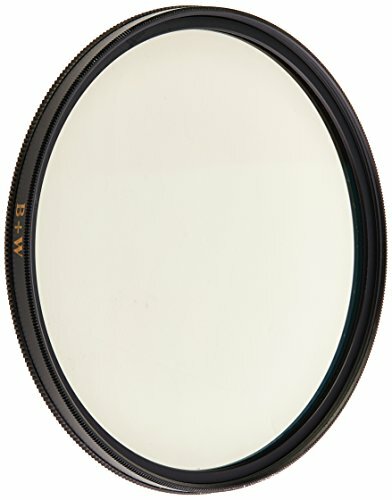 B+W filters are made to last and are encased within a brass ring. This helps ensure that the filter won't become cross threaded if screwed on too tightly to your lens, a common and potentially expensive problem with cheaper filters utilizing plastic threads. 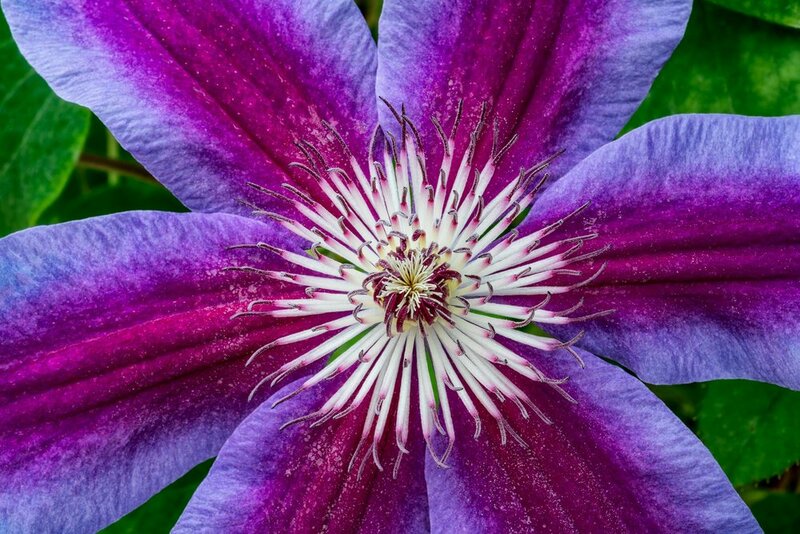 I was captivated by the vibrant colors and intricate design of this beautiful flower inside the Flower Dome at the incredible Gardens by the Bay complex in Singapore. Polarizing filters can help to increase color saturation (i.e., the intensity or purity of a color) and maintain fine textures under conditions when bright light might otherwise cause color and texture to be reflected off the surface of the subject (e.g., wall, leaf, rock) and away from the lens. Polarizing filters reduce reflections off non-metallic surfaces. This might allow you to photograph window displays or someone swimming under water without harsh reflections on the surface of the glass or water messing up your picture with irrelevant detail reflected form outside of the picture frame. It's just like wearing polarizing sunglasses on a bright day. If you or your subject is squinting it's probably a good day to employ the polarizing filter. 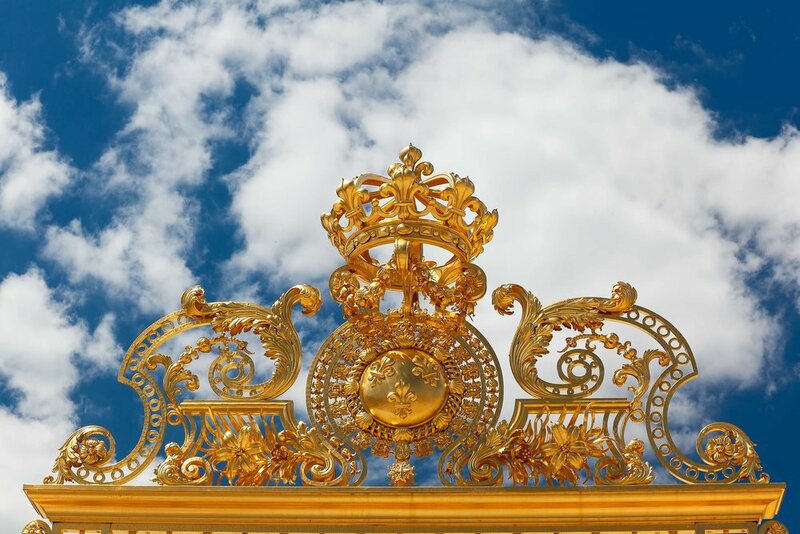 A detail, on the top of the visitor entrance gate, at the glorious Palace of Versailles photographed from a low viewpoint; with a polarizing filter; and processed with added saturation for extra drama. Polarizing filters are probably most commonly used to deepen (i.e., darken) the color of an already blue sky and, as a consequence, emphasize the shape and texture of clouds. A polarizing filter is actually two pieces of glass sandwiched together. To use the filter simply screw the inside end securely onto the front of your lens. It's then simply a matter of turning the outside filter ring, while looking through the camera's viewfinder, until the desired effect is achieved. A Christian cross and a moon dominate this colorful image from the La Recoleta Cemetery in Buenos Aires, Argentina. It's worth noting that a polarizing filter, as it's actually made of two pieces of grey glass, absorbs light. It works or it doesn't, depending on the direction of the light. If you find yourself turning the filter without noticing any changes to the way your image looks then take it off. The fact that it absorbs light may be problematic as it will either cause you or your camera to lower the shutter speed, increase (i.e., widen) the aperture or increase the ISO. Depending upon the circumstances these changes may have adverse effects on your photo. Be aware that a dirty filter will likely result in reduced contrast and image sharpness and, when photographing light sources (i.e., street lamps, sunrise and sunset) a blooming or spreading of the light and a smearing of color can result. Remembering to keep both the filter and the front element of your lens clean is, therefore, essential to extract the best quality from your lens. B+W filters incorporate a special Multi-Resistant Coating (MRC) which provides the filter with a water and dirt repelling coating. This coating helps keep the filter cleaner for longer and, when cleaning is required, makes it easier to do so. The MRC coating also reduces internal reflections, between the filter and the front element of your lens, resulting in reduced occurrence of flare and ghosting. Of course there are plenty of times when you don’t want to use a polarizing filter. This serene scene from the famous Hongcun village in China is a perfect example. The success of the photo is due, at least in part, to the reflections of the traditional village buildings in the water. Using a polarizing filter may well have reduced or even eliminated those reflections. I know there are plenty of folks out there who leave their polarizing filter on all the time. The notion being that it’s there when they want it and the effects of the filter can be negated by spinning it until no change is visible through the camera’s viewfinder. That’s not what I would recommend. When the filter’s not being used to polarize the light it’s still a barrier blocking light from reaching your camera’s sensor. That loss of light could result in camera shake, unwanted subject movement or a reduction in depth of field. I keep a B+W filter on my lens at all times. Usually it's a UV filter but, when its time to attach a polarizing filter, it's removed. Never stack traditional screw-in filters on top of each other. If you do you'll be courting poor quality and the increased likelihood of vignettes which defeats the purpose of buying great glass (i.e., lens and filter) in the first place. Used correctly and under the right circumstances a polarizing filter can really make a difference to your success as a photographer. And that's why I always carry one a B+W Polarizing filter in my own camera bag.